Are you about to go into your first hypnotherapy session? Hypnotherapy is a healing modality designed to help individuals cope with a variety of issues. These issues can range from alcohol dependency to depression. Hypnosis can even be used to effectively manage stress and achieve goals. If you are new to hypnotherapy, you may not know quite what to expect from your first session. This is entirely normal! You can’t do anything “wrong” in your first session, but it is important to be prepared in order to make the most of this therapy. Read on for your guide to making the most of your treatment before you enter your hypnotherapist’s office. At this point, you likely have some idea of your therapeutic needs. After all, you wouldn’t be seeking hypnotherapy services otherwise! You may have even been given a referral from a current psychologist or alternative medicine practitioner. Nonetheless, it’s vital to understand your intentions for attending a hypnosis session. Knowing what you aim to accomplish with this work will enable you to make the most of every session, particularly your first. Hypnotherapy has been used historically to help clients with a variety of issues. These issues are incredibly diverse, ranging from tackling stress to alleviating symptoms of a past trauma. It has also frequently been used to aid individuals struggling with addictions. Identify what your therapeutic needs are ahead of time. Try to be as specific as possible. Your practitioner will likely ask you about these in advance or at the very beginning of your first session. Here’s an example. Let’s say that you suffered from domestic violence in a prior relationship. You may have already explored this trauma in talk therapy. But perhaps you want to explore it more deeply, perhaps tapping into the psychological impact of this experience. You may want to address specific thought patterns and beliefs that feel limiting in some way. Write down a list of these needs ahead of your first session. You can even take these notes with you to your first hypnosis session. Just like any other medical practitioner, hypnotherapists vary according to experience and clientele. Your provider can make a huge difference in your hypnotherapy experience. In fact, the right provider can mean the difference between a so-so session and one that delivers inspiring results. Make sure you take the time to identify the right provider. If you are already working with an alternative medicine practitioner, ask him or her for referrals. Otherwise, consult family members or friends to ask for suggestions. You may be surprised how many people have worked with hypnosis for therapy purposes! The internet is also a great resource. Search for providers who have extensive field experience and are Certified Hypnotherapists. Luckily, plenty of medical professional databases exist to make this search easy. You can check out the American Society of Clinical Hypnosis’s portal, for example, to find ASCH certified professionals. Some hypnotherapists will also have websites that include client testimonials. You may even find therapists registered on online review platforms to help you hone your search further. Some hypnotherapy providers offer their clients first-time consultations in advance of a first hypnosis session. Others may add an informal consultation to the beginning of clients’ first sessions. Whatever the case, check to see if you can have a consultation with a prospective hypnotherapist. At the very least, ask if a provider will take the time to answer some questions about your experience. Use a consultation primarily as a means of getting comfortable ahead of your first session. The more comfortable you are with hypnosis, the more likely it is to have a positive impact. Ask providers how long they have been working in the field of hypnotherapy. It’s also wise to bring your own therapeutic needs to the discussion. This can give you a chance to ask specific questions about these needs and the practitioner’s suggestions for future work. Take the time in your consultation to ask about how hypnotherapy generally works. You may already have an idea, but practitioners are likely to offer specific details according to your therapeutic needs. 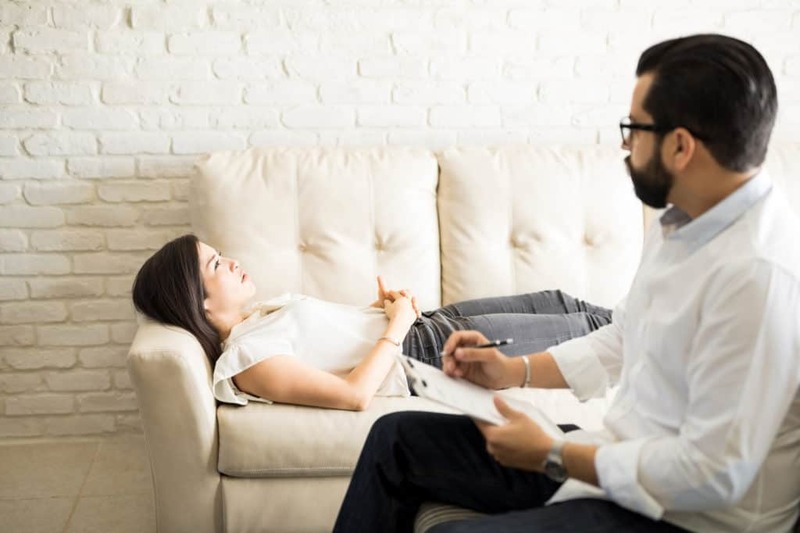 If you haven’t done so already, check out this post on what to expect in your first hypnotherapy session. It’s important to go into your first hypnotherapy session with as open a mind as possible. This is absolutely essential. Hypnotherapy, after all, relies on the power of suggestion and subconscious exploration. Your hypnotherapist will be guiding you through your session verbally, and it’s important to feel comfortable with following along. The more receptive you are to in-session explorations, the more likely you are to have a productive, inspiring session. It’s also important to monitor your expectations. Going into your first session thinking it will be the be-all and end-all cure to your problems is probably not healthy! But the same goes for approaching your session with skepticism. The more resistance you demonstrate in your first session, the harder it will be to explore the potential of hypnotherapy as a healing modality. It’s also helpful to look at this first session as the beginning of a journey. Your hypnotherapist may very well recommend that you return for subsequent sessions. Most importantly, he or she won’t necessarily be prescribing a clear “end” to your work together. Hypnotherapy doesn’t exactly operate like that. You may go in for two sessions, or you may go in for twenty, depending on your needs. If you feel more comfortable, discuss healthy expectations for your hypnotherapy work with your practitioner ahead of time. As you prepare for your first hypnotherapy session, remember to relax. Hypnotherapy is a healing modality designed first and foremost to help you. The more comfortable and open-minded you can be about this, the better. Be sure that you choose the right provider for your needs. If possible, sign up for a consultation ahead of your first session to establish expectations and ask key questions. Do you still have questions about hypnotherapy? Ask Richard Baker yours now! This entry was posted in Hypnotherapy and tagged hypnotherapy patient.